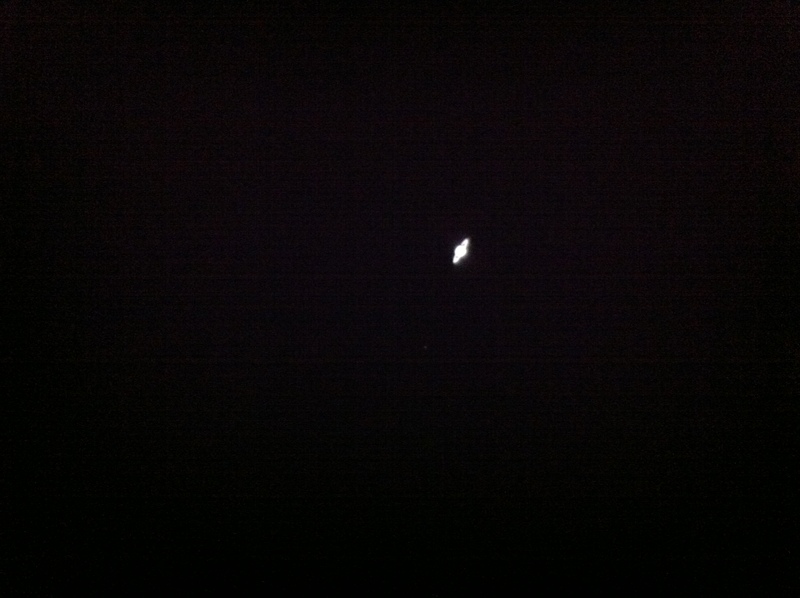 Eyepiece projection image I took of Saturn using my telescope and iPhone camera. Saturn is one of my favorite objects to view. It looks just amazing as the first time I ever viewed it through a telescope. I will never forget that first time. I think everyone needs to see Saturn through a telescope at least once in their lifetime. Every person I have showed it to through my telescope is amazed. Even people that are not the least bit into astronomy. Saturn always takes one's breath away, still does no matter how many times I see it, but the first time, is downright magical. It's a joy to share such moments with a new or first time star gazer, when they behold the jewel of our solar system for the very first time. Wonderful photo and inspiring story. Thank you for sharing them. Saturn with you own eyes is such a moving experience. The first time I viewed Saturn with 1 moon (and Jupiter with 4 moons) through my telescope I was in awe and wonder at the beauty and complexity of our solar system. That was 15 years ago and I still tell people about it. Such an amazing experience!